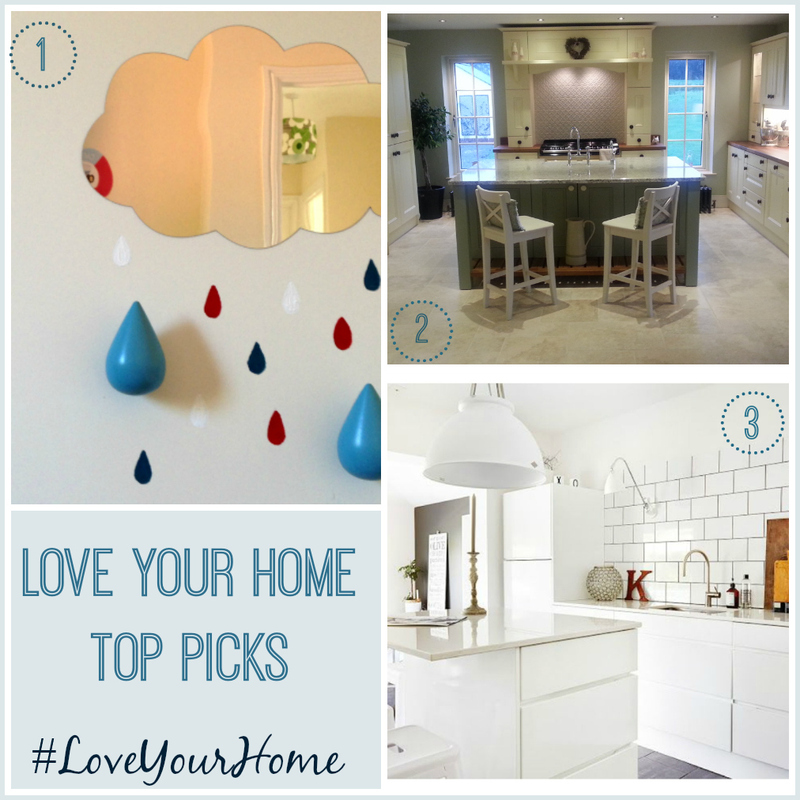 Wow, what a great reaction to the very first #LoveYourHome linky from last week! I was blown away with the comments, and thrilled that so many of you linked up, shared and commented. There were some lovely posts, and such a variety too from thoughtful expressions about design, to makeovers, upcycling and top tips. I commented on, tweeted and pinned all of them I think but if I missed some do let me know. My favourites from the first week? Well here they are, and if you haven’t taken a look yet, do go over and give them some linky love. 1. The wonderful Norman Copenhagen hooks from 3 Years and Home which look oh so stylish. 3. The definitive guides from Moregous on how to incorporate subway tiles into your home. Thanks to everyone for joining in, I do hope you went and commented on the others and enjoyed what you read. All of the posts that join in will get pinned to my Love Home Bloggers Pinterest board, but if you are a regular Homes and Interiors blogger and would like to become a contributor to the board, just let me know in the comments below, and I can add you in. This means that you can pin your blog posts straight to the board whenever you like; the more we pin the more followers we will gain. I try and pin lots of the content from that board onto other big US boards that I contribute to, which will definitely help with traffic. I’m so pleased you liked my Dropit Hooks post. They’re such a cool product. Planning to use some more in the hallway as part of an umbrella feature but need to plan it on paper first. Looking forward to reading all the posts that link up. Such a great linky, lots of idea sharing…. So excited to link up. I love reading other’s home decor post. So glad I found your lovely blog and awesome new linky. Look forward to reading the others too. The interiors are really very nice.